This recipe was first published on 1st October 2000 - it has now been updated and additional information added. 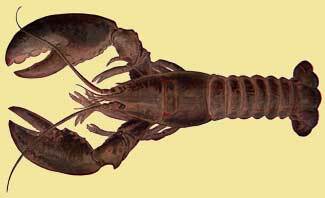 The recipe now shows how to use cooked or uncooked Crayfish. I thought a little decadence was in order and after requests for a lobster dish, I guess I am not the only one! In my cooking tips section this week you will find pointers to consider when purchasing your fresh shellfish <click here>, but lets get on with the cooking . . . This dish is simplicity itself, but produces a wonderfully light dish. The orange and dill compliments lobster / New Zealand Crayfish so well and will not mask the wonderful shellfish flavour. Using arrowroot will not affect the colour of the sauce and keeps its bright transparency. But if over thickened it will go stringy and gelatinous and cannot be thinned down, so care must be taken. Using cornflour will not let the sauce go stringy and gelatinous, however it will affect the colour of the sauce by adding a whiteness to it and it will lose its transparency. Enjoy and bon appetit . . .